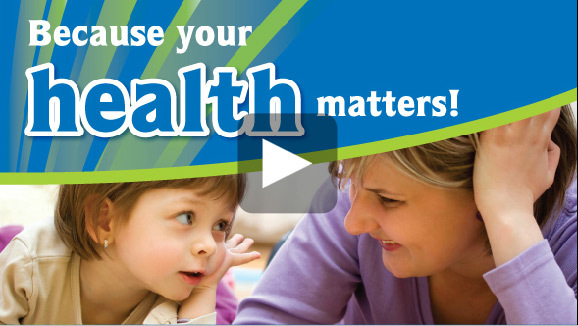 The survey collects information on Canadians' health and health habits. The first part of the survey is a household interview, which includes questions on many health-related topics. The second part of the survey involves a visit to a mobile examination center to collect direct physical measures such as blood pressure, height and weight, bone density and vision tests. 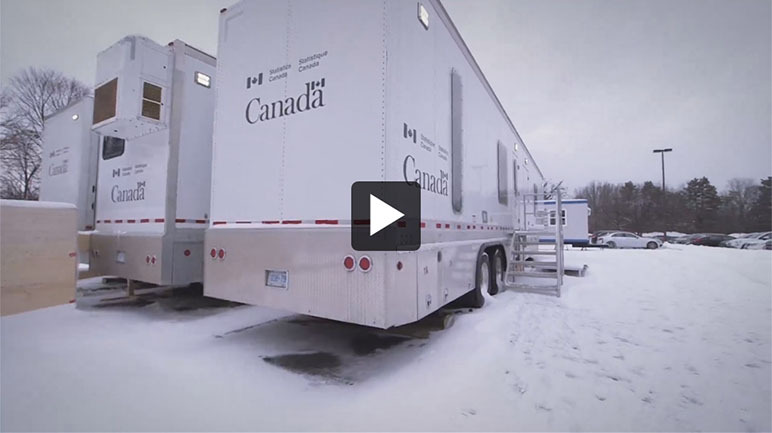 One of the main goals of the survey is to gather information to help improve health programs and services in Canada. Personal interview in the respondent's home, followed by a visit to a mobile examination center, where physical measures are taken. To avoid duplication of surveys, Statistics Canada has signed agreements with Health Canada and the Public Health Agency of Canada to share the information collected during this survey. They have agreed to keep the information confidential and use it only for statistical purposes. The information you provide to us can only be shared with your consent. Your name, address, telephone number and health number will not be shared. To enrich the data from this survey, while minimizing the response burden, Statistics Canada will combine your survey responses with information from the tax data of all members of your household. Statistics Canada may also add information from other surveys or administrative data sources. Statistics Canada may combine information about you collected during this survey with information from other surveys or from administrative data sources. The results will be used for statistical purposes only. environmental contaminants in blood, urine and hair. 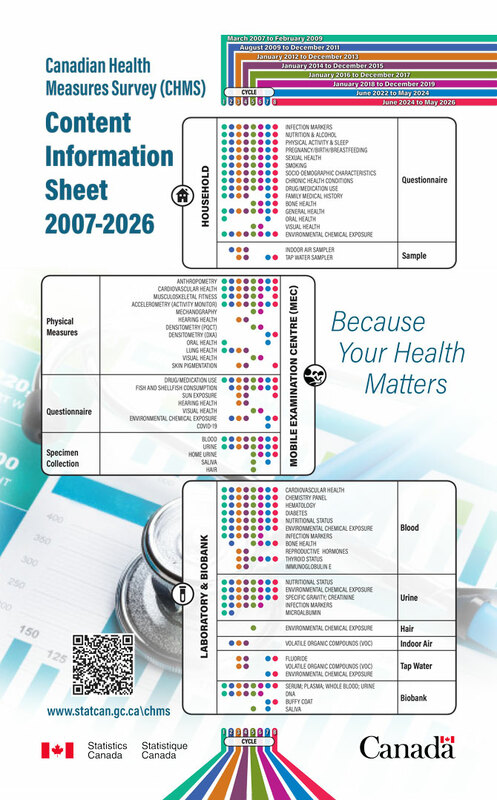 For a copy of the fall Canadian Health Measures Survey content summary for cycles 1-8, please contact Statistics Canada's Statistical Information Service (toll-free 1-800-263-1136); 1-514-283-8300; statcan.infostats-infostats.statcan@canada.ca. As part of the Canadian Health Measures Survey (CHMS), blood, urine and DNA samples (biospecimens) are collected from consenting participants. With respondents' consent, these samples are then stored at the CHMS Biobank located at the National Microbiology Laboratory in Winnipeg for use in future health studies. Details on studies which have been approved to use the Canadian Health Measures Survey biobank specimens are available on the Biobank page.